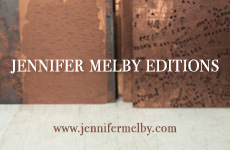 Forty combination woodcut and drypoint prints in a clamshell box with copper inset, 17½ x 13 inches each. Edition of 4. Printed and published by the artist. Berkeley, CA. $14,000. Ellen Heck, Anna as Frida from Forty Fridas (2011-2012). 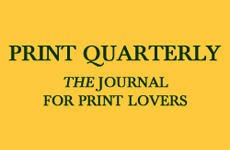 Since the International Print Biennale was established in Newcastle (UK) in 2009, the Victoria &Albert Museum has awarded a prize: an online essay about the prize-winning work, written by myself as senior curator of prints, in return for which the artist is asked to donate a piece to the museum’s permanent collection. As usual, this year’s biennale offered an inspiring survey of art in print, with established names exhibited alongside up-and-coming ones. 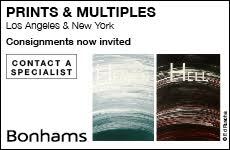 And, as before, the selected works offered rich evidence of the significance of print in contemporary art practice, showcasing exceptional technical prowess in every print medium. As the title of the series suggests, Heck depicts women and girls dressed as the Mexican painter Frida Kahlo (1907–1954), best known for her compelling self-portraits. Indeed Kahlo made an art form of the carefully constructed public presentation of her self-image, an assertive and self-possessed character who engages the viewer with a direct unsmiling gaze. Her first love, Alejandro Gómez Arias, wrote, “Who was Frida Kahlo? It is not possible to find an exact answer. So contradictory and multiple was her personality that it can be said that many Fridas existed.”3 It is this multiplicity that Heck has so eloquently exploited with her 40 sitters. Each portrait is strikingly individual and each sitter is identified by name, but together they reveal echoes that amplify their impact and resonance. Identity is shown to be a mutable state, a game we can all play as we style ourselves for different audiences. Each sitter is both herself and an imagined other. 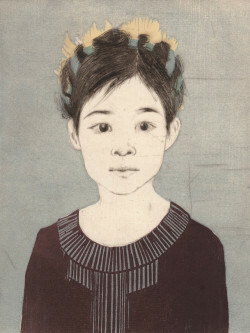 Ellen Heck, Tomoko as Frida from Forty Fridas (2011-2012). The familiarity of Kahlo’s self-portraits, which are well-known and widely reproduced, inspired and enabled Heck’s project. Each sitter is dressed or accessorized to evoke Kahlo’s iconic self-styling, unifying the series. The resemblance is achieved in part through the pose of the sitter: the turn of the head, the steady regard. Some of these “Fridas” wear shawls, scarves, bold pendant earrings or embroidery, with dark center-parted hair pulled back or put up. Eyebrows are emphatically expressive. All wear headdresses of flowers, feathers, or twists of cloth. Heck is not alone in adopting—and adapting—Kahlo’s self-portraits. Her fellow American Miriam Schapiro has, in her own words, “collaborated” with Kahlo, representing herself as Frida in several prints and paintings modelled on the self-portraits. For many women, Frida is a heroine, someone with whom they can identify; her portraits have a universal appeal grounded in her defiantly unconventional beauty, and her assertion of an independent identity both as a woman and as an artist. Heck says her series can be divided into three groups, each with a slightly different goal, but all involving a kind of collaboration with the sitters. 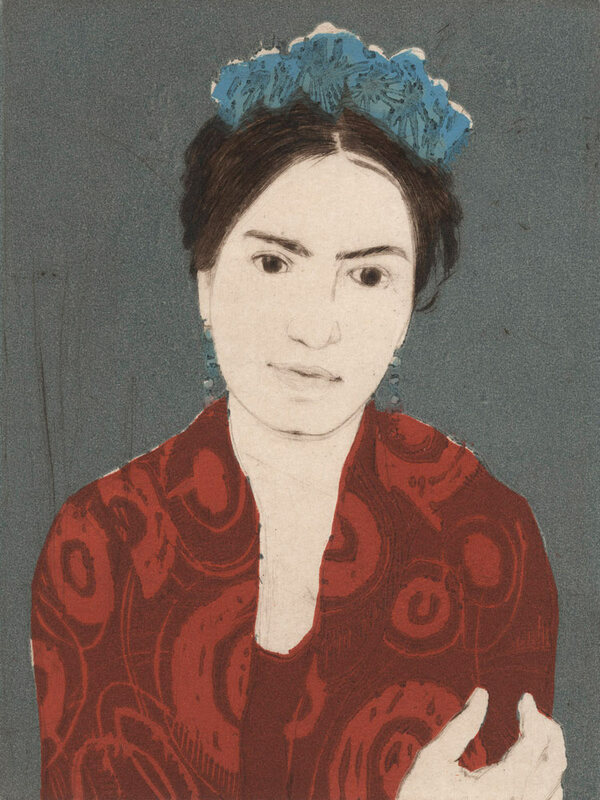 The earliest group was developed from images Heck found on the Internet, where images of women in the guise of Frida are plentiful; she emailed the people concerned asking for permission to use their images in exchange for a print. Portraits from this group include Rory, Davina and Margaret. Deciding to focus on faces, Heck then invited family members and friends to pose for her, but she also put out a call for participants on her website. These sitters include Eden, Chayito and Kate. In the later works the younger models predominate because, in the artist’s words, “dressing up can be read as an aspirational activity, and among the younger models, this act brings with it a sense of promise, and hopes for the future.” Finally she took faces in isolation and added the Frida accessories to the portraits herself. The portraits of Jasmine, Abigail and Trimita were arrived at in this way. 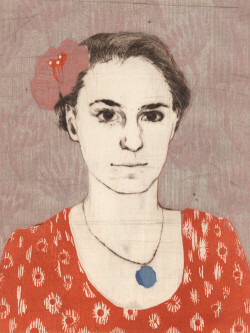 Heck also introduced some playful variations: the solemn wide-eyed Rory features twice, Frida herself is re-imagined as Leonardo’s Lady with an Ermine (Cecilia Gallerani), with a bold gaze out towards the viewer instead of the averted gaze of the original, and in a companion print Cecilia impersonates Frida, with a parrot in place of the ermine. There is even a Frida as Frida. All the portraits elicit an intense intimacy, as the sitters make eye contact and engage the viewer. The effect is enhanced by the shallow, indeterminate pictorial spaces against which each sitter is silhouetted. While some figures are engagingly informal, others, such as Ava, have a hieratic formality that recalls Renaissance portraits. Ellen Heck, Margaret as Frida from Forty Fridas (2011-2012). What strikes the viewer, seeing all the prints together, is the variety the artist has introduced despite the apparent constraints of her project. There is no template, no standard formula; each print has been approached afresh, as an experiment with process, color, pose and effect. Heck has described her process as “a slippery hybrid of the scientific method and intuitive play.” The prints reflect and reveal her working methods, and the process is essential to the effects. Drypoint and color woodcut are challenging and labor-intensive, their effects innately fugitive and hard to control or predict. These characteristics animate the images, enlivening surfaces that might appear flat or inert in reproduction. In the flesh we discover a subtle layering of color, the use of translucent and metallic pigments that shimmer and glow, giving each portrait the aura of an icon. The resemblance is emphasized further by a patina of scuffs, grazes and faint lines that complicate the surfaces, confirming the handmade, hard-won character of the prints, and suggest something precious and much-loved. This use of a worn and distressed matrix has distinguished precedents, most notably in the prints of Mary Cassatt (1844–1926). Heck’s women and girls undoubtedly owe a debt to Cassatt’s use of outline, flat areas of color and decorative patterning (all ultimately derived from Japanese ukiyo-e woodblock prints), and yet remain original and distinctive in their appearance and affect. Portraiture is freighted with a particular significance in our self-conscious age, when the “selfie” has become a defining means of self-presentation for an ever-expanding audience. In using Kahlo’s self-crafted likeness to structure her portraits of others, Ellen Heck has found a novel means of refreshing a stale genre. Without resorting to stylistic gimmicks or descending to pastiche, she has created a new model for the age-old collaboration between artist and sitter in which each has an active part and a distinct identity.